One of the biggest and best Sunday Markets in the Midlands! With all of your usual bargains and much much more its a great day out. From clothes to electrical goods, Butchers to Garden Essentials, fresh fruit and veg - an absolutely huge range of BARGAINS all in one place! Also excellent on site catering (all hygiene rated by NWBC) There's even rides and slides for the kids! Our all important toilet facilities are fully maintained all day with hand-wash areas too! There's something for the whole family come and see us, every Sunday! Why not have a good spring clean and turn your unwanted bits and bobs into cash from as little as £8 per car, just arrive on the morning, pay on the way in and we'll show you where to park! Thinking of being a market trader? Small vans start from £12 and range up to £20 - you can even save your pitch to gain regular customers! Take as much space as you want! see the rest of the website for further details or visit our Facebook page : Furnace End Market and Car Boot. 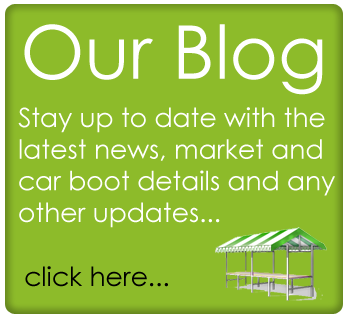 Why Choose Furnace End Market and Car Boot? Furnace End Market & Carboot is one of the biggest Sunday markets in the Birmingham, Warwickshire, Nuneaton, Coventry and Coleshill area. Established over 25 years ago and operating across 2 different 40 acres sites in the midlands. We regularly attract 600 plus stall holders as well as 12,000 plus public. We operate every Sunday (weather permitting) between March and December. We generally start the second Sunday in March with markets at Laxes Farm (Nearer to Coleshill), We then continue at Springfield Farm in July (site further along the Nuneaton Road). We have two aspects to the market, both are very popular.... We have the Market apsect where all the new goods etc are sold by our regular market traders - new traders are always welcome! We then have the car boot.... perfect for all those bargain hunters and sellers! - see our guides and prices page for more information. Car boots are the perfect way to sell all of your unwanted household items & there's nothing you can't buy and nothing you can't sell!! New and Used!! Kids toys and games, clothes, underwear (new!) trainers, sportswear, furniture, TV's, fridges, microwaves, stereo, perfume, all electrical equip, key cutting, mobile phone unlocking, repairs and accessory's, carpets and rugs, tools, toiletries, household cleaning, antiques, garden furniture & ornaments, towels & bedding, office supplies, kitchen utensils, candles etc, paint, jewellery, Musical instruments, computer games (PS4, Xbox 1, PC, etc), games consoles, computers, DVD's, CD's, lawnmowers, power/hand tools & hardware, fishing tackle, pet food & supplies, Plants and flowers, fruit & veg, eggs, sweets & confectionary, puzzle books, push bikes, prams, petrol scooters / quads. The absolute A-Z of everything and all at bargain prices!!! Our customer base is huge... We attract visitors from up and down the country as well as our surrounding areas across the midlands, including Birmingham, Warwickshire, Coleshill, Nuneaton, Ansley, Coventry, Tamworth to name but a few! Springfield Farm is situated just outside Nuneaton in Ansley on the B4114 (10 mins from Coleshill, 20mins from Birmingham). Laxes Farm is 1.5 miles towards Coventry, Birmingham and Coleshill on the B4098. We are Birmingham, Nuneaton, Coleshill, Coventry and Warwickshires leading Sunday Market and Car Boot. Fair ground rides, bouncy castles & slides for the kids. We also run Polesworth Market, (Close to Tamworth in Staffordshire) this is on every bank holiday Monday. Also one of the largest Bank Holiday Monday Markets in the country! Set across a 40 acre site and attracting hundreds of stall holders from all over the country along with thousands of members of the public. With a section for Market Traders and Carbooters, your guaranteed to find exactly what you're after! Please contact us to confirm dates & Location or check our Facebook page : Furnace End Market and Car Boot.